My daughter, Ruby, mixed up this clay color combination and asked me to make earrings with it, so I owe most of their beauty to her. 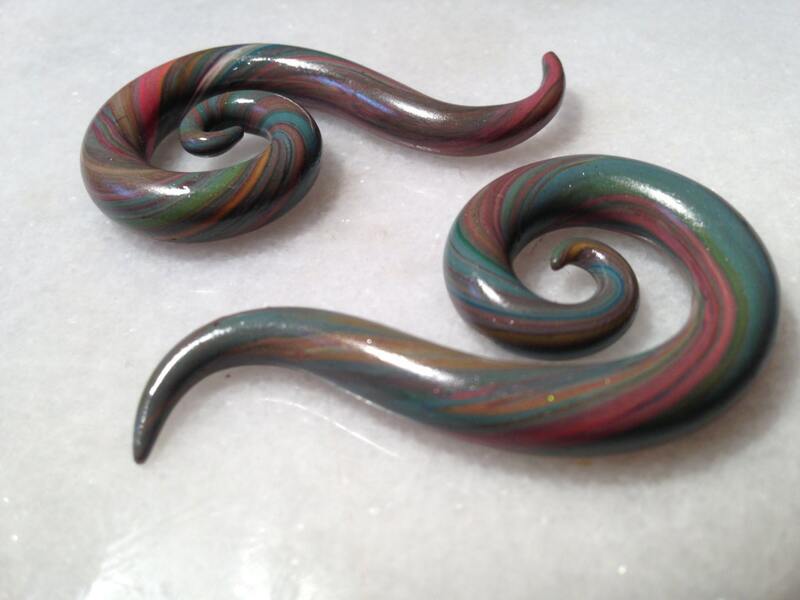 They are in lovely spring shades of pink, green, sky blue and olive, all marbled together into a psychedelic open spiral talon. This is the only pair I have, in a 2 gauge which could be snug if you are just barely in a 2. They could also work for a 0 gauge. It may be possible to recreate this particular design in another size, but they will not be exactly like these. Made from polymer clay, these earrings are suitable for anyone whose ears are fully healed. 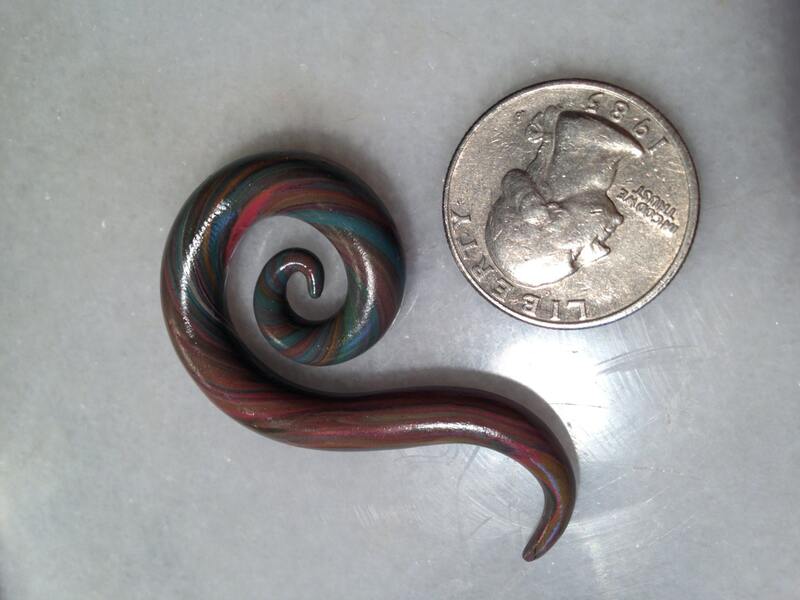 It is not recommended to wear polymer clay earrings in new piercings or to stretch your piercings, and if you have any redness, swelling or infection present, refrain from wearing polymer clay earrings until the problem resolves. 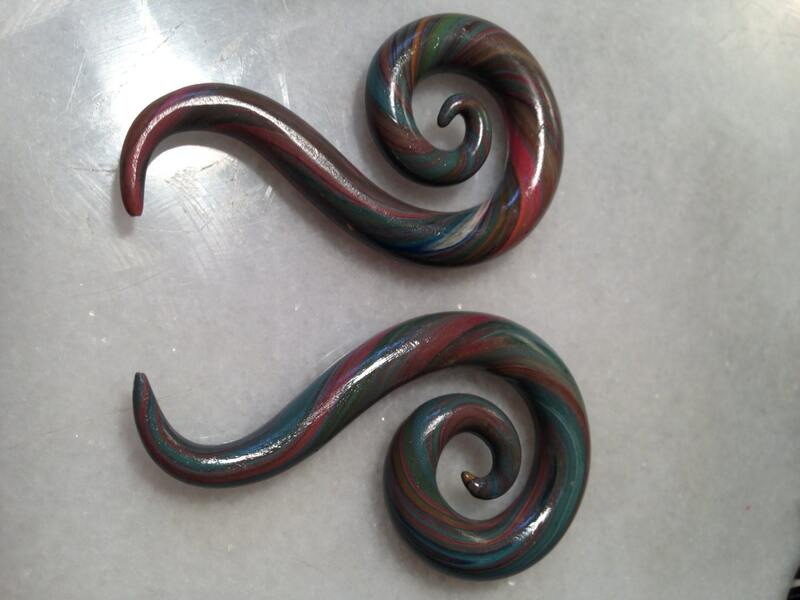 This pair has been glazed for a satin shine. It is recommended that they are not worn while showering or swimming. Any item I have in my shop that is already made will ship within 1-3 business days. Please send me a convo if you are interested in a custom order. Custom orders can take up to 2 weeks.